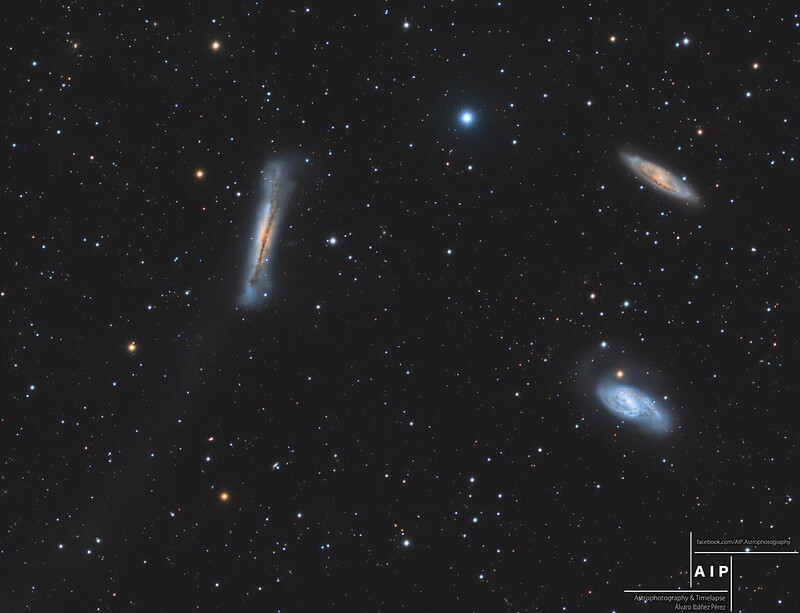 1,000 images contributed by 91 amateur planetary photographers from around the world. I started this project a year ago and it has taken me thousands of hours to stitch together the images into this animation. It is also a contribution to Mission Juno: several of the amateurs in this project also contribute to the Mission Juno Pro-Amateur collaboration. This deep exposure reveals the extent of the intricate wrinkly shells that surround this southern planetary nebula in Vela. There is also a faint blue and red halo visible that extends beyond the wrinkly gas shells. According to greek mitology, Hephaestus was the craftman and smith of gods. 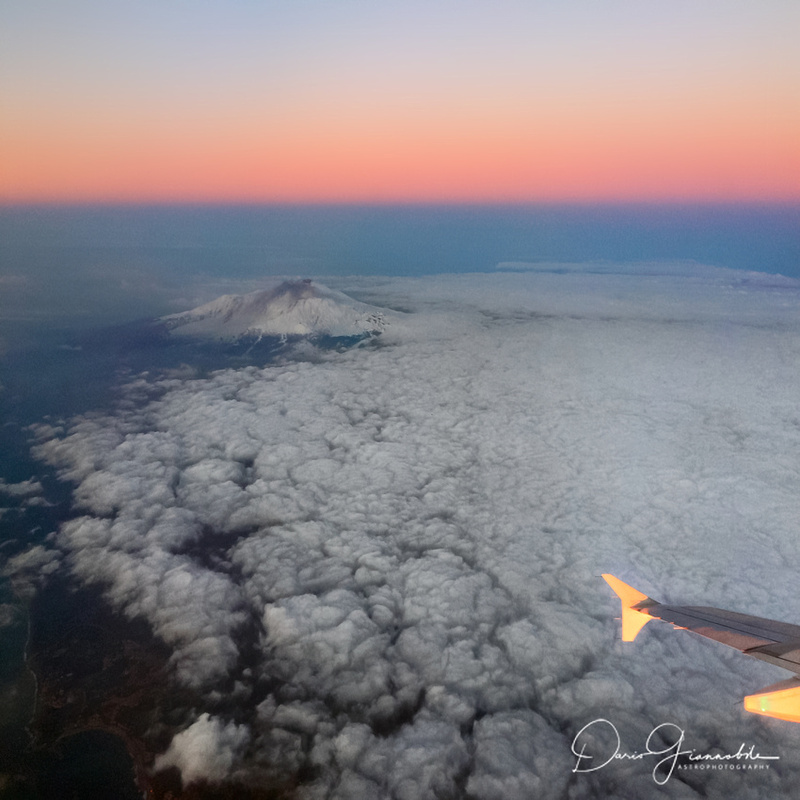 Aphordite, godness of beauty, was his wife.The ancient greeks and sicilians believed that he had his abode and his forge under the volcano Etna and that the eruptions were the proof of his mighty work.In this shot the mount Etna is captured above a blanket of clouds surrounded by the Earth's shadow and the Venus (Aphrodite) belt.It is a magical moment when the two lovers are going to meet each other! Last edited by Rothkko on Sun Feb 26, 2017 10:47 pm, edited 1 time in total. Comet 73P/S-W on Feb 13th. Partial solar eclipse registered on February 26, 2017, from Rosario, Argentina. Feb 26th annular eclipse, as seen from Musters Lake, Chubut, Argentina. It's a composition in which lunar mountain ranges can be seen forming that effect "contacting" the Solar limb when entering/exiting the annular phase. The light effect around the Sun is lens diffraction caused by the extreme f/64 aperture used to darken the Sun as much as possible without filters. 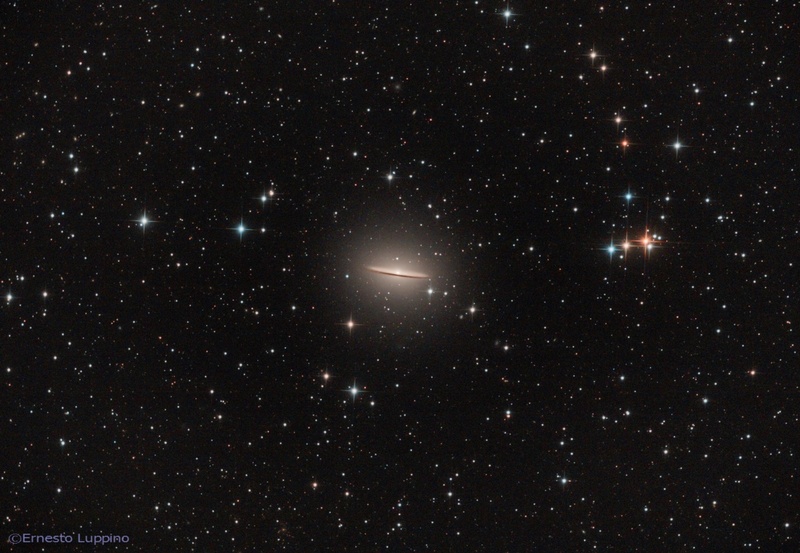 NGC 4151 is an intermediate spiral Seyfert galaxy with weak inner ring structure located 19 megaparsecs (62 million light-years) from Earth in the constellation Canes Venatici. 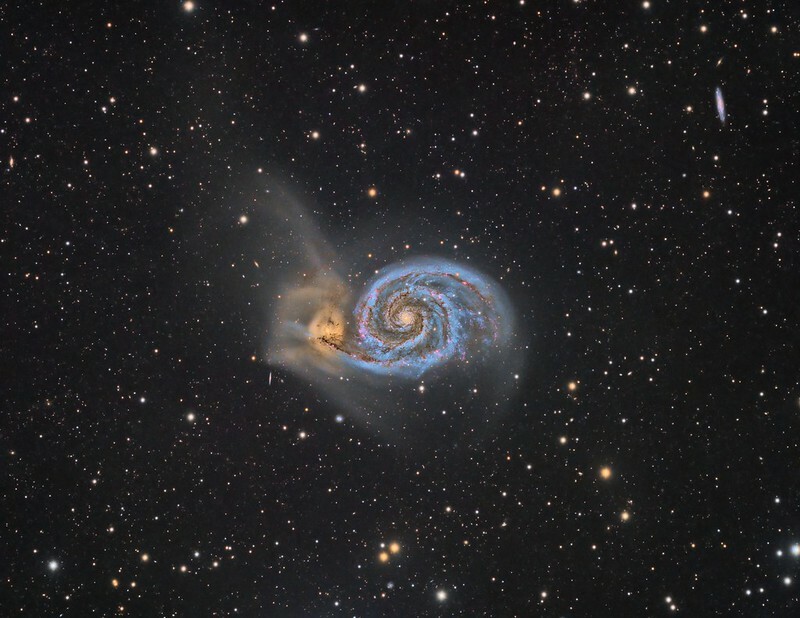 The galaxy was first mentioned by William Herschel on March 17, 1787. It is one of the nearest galaxies to Earth to contain an actively growing supermassive black hole. It was speculated that the nucleus may host a binary black hole, with about 40 million and about 10 million solar masses respectively, orbiting with a 15.8-year period. This is, however, still a matter of active debate. 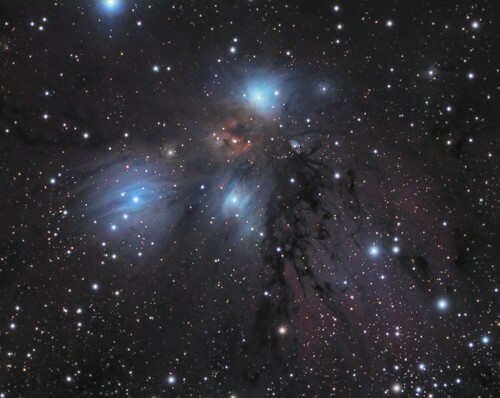 Some astronomers nickname it the "Eye of Sauron" from its appearance. 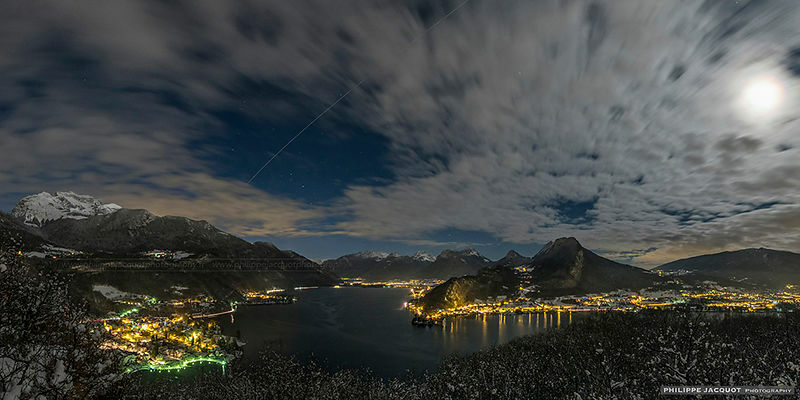 Passage of the ISS with Thomas Pesquet over Lake Annecy on Monday, January 16, 2017. The Moon illuminates the winter décor during the morning flyover of the French astronaut, and despite the passage of wind-driven clouds, the ISS was quite visible. I set up camp at the belvedere of the Roc de Chère de Talloires, facing the small Annecy lake. The ISS passed perpendicular to the planet Jupiter, visible on the right, before passing behind the horizon in the constellation of Scorpio. Last edited by bystander on Mon Feb 27, 2017 3:20 pm, edited 2 times in total. 1 image for the foreground and 1 for the sky. Done with Canon EOS6D and Canon EF 75-300 III USM. Comet 2P/Encke on Feb 16th. Partial eclipse of the sun from Buenos Aires, Argentina. Mount: ASA DDM 85 . Comet tracking mudule used. 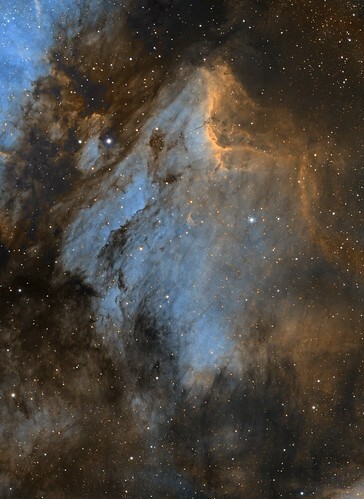 L: 12x300, RGB: 10x120 secs.